Pictures taken from official screenshots. 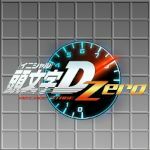 Game is coming out on March 26th, for your info. Who will reserve this page? The game is too cheap, maybe I'll buy it. Well, it's from Avalanche Studios (they're Swedish too!) and published by THQ Nordic. From what I can gather it's set in a robo-apocalypse version of Sweden. Really hoping this can live up just like the Just Cause games. I already bought the game, so I'll try to update the images... in March. Generation Zero HAD an interesting concept... and it failed despite the premise. GameInformer bombed this game with a 5/10. The biggest criticisms are related to the tediousness in exploration and combat and a finicky loot system. 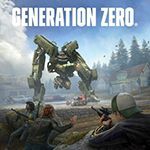 "You explore Generation Zero’s (admittedly beautiful) version of Sweden, crossing massive patches of terrain to reach towns and bunkers holding secret documents that lead you across many more miles of desolate wilderness to find more documents. If you’re playing solo, the tedium of travel is heavy. Even when you have companions, nothing exciting happens during these segments. You’re just walking. You might occasionally come across a robot you can fight or a car you can loot, but for a game supposedly rooted in discovery, exploration is mindless and boring. The tedium doesn’t even lift when you reach the remnants of civilization, as the vast majority of houses have one of three interior structures, and are rarely filled with noteworthy loot. Spending substantial time scavenging for items in copy-and-paste houses just isn’t fun." "Combat is not a saving grace here. The gunplay across your weapons (pistols, shotguns, rifles) is all lackluster. Every battle is either dull or frustrating because of how spongey your robotic enemies are. You commonly deplete your whole ammo reserves after an encounter because foes continue to spawn during battle. Given how rare getting the ammo you actually need is, this is more frustrating than challenging. Tactical throwables like boomboxes and flares can distract foes, but they only work half the time. To make matters worse, technical issues allow robots to attack through walls, and massive framerate slowdowns make fights impossible to manage. Outside of combat, I hit glitches that removed mission markers and important locations from my map, forcing me to restart to get them back." And one more inventory handling: "You can load ammo, weapons, and useful throwables into a series of inventory slots, but you can’t split up or combine ammo and items, which is a huge problem. For example, if you pick up one medkit, it won’t stack with the group of medkits you’re already carrying, with no rhyme or reason to quantity limits for each stack. This makes managing your already tiny inventory a constant hassle. You also have to assign throwables to one of four quick-use buttons, but once you run out of ammo for that stack in your inventory, you have to manually assign your other stack. When you’re trying to switch between different kinds of items during combat, conducting this long process will get you killed. Similarly, skills are communicated through an overly complicated tree filled with disappointing stat buffs, like reducing weapon sway. To unlock skills that are actually somewhat useful (like expanded inventory slots), you need to buy a bunch that aren’t, and even the ones that are useful aren’t exciting. I never once felt a tinge of joy or satisfaction for leveling up in Generation Zero. None of the rewards are worth the grind." Don't waste your money on this. And about "graphics aren't everything...", No.